Freelance graphic and web page designer. I offer web standard and optimized websites built with XHTML, CSS, jQuery for small & medium size businesses. 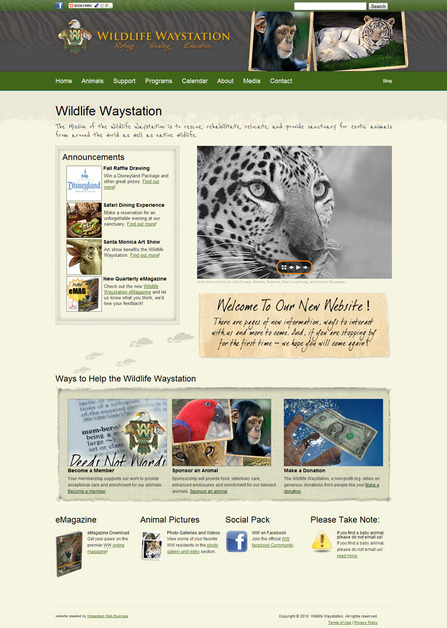 Home page of the Wildlife Waystion website.